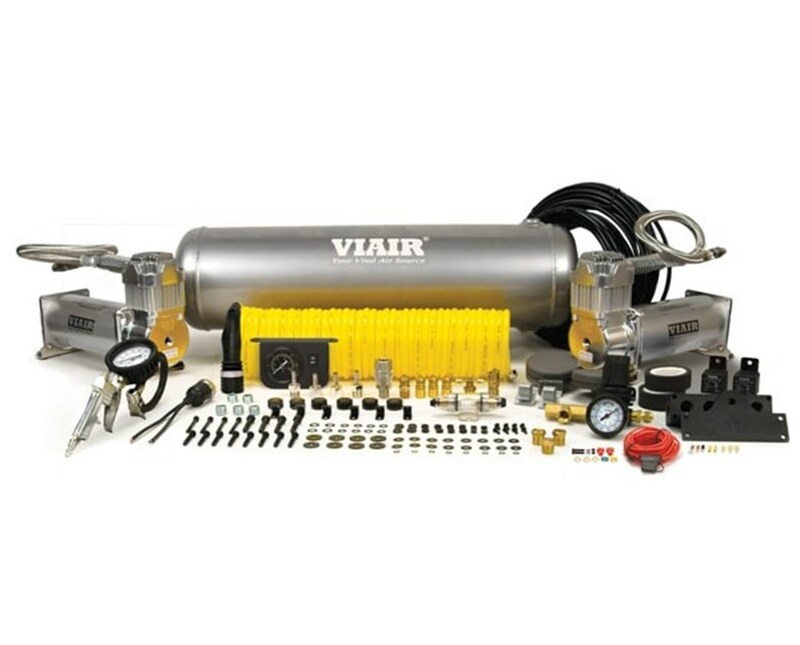 The Dual 450C Onboard Air System features two 450C Viair compressor which offers a continuous 100% duty cycle. With a 150 PSI maximum working pressure and flow rate of 3.28 CFM, it is capable of managing air locking differentials, inflating tires and more. This air system also comes with all the necessary components needed to install a working system, useful for multiple pneumatic applications. Accomplish task on the go with the 2.5-gallon air tank with six port openings to allow installations in many configurations. It also includes a dash panel gauge to monitor the pressure of the air tank and adjustable inline air pressure to regulate the pressure. The Dual 450C Onboard Air System comes equipped with a 12-volts permanent magnetic motor with a maximum current consumption of 44 amps. It also features a thermal overload protector to prevent overheating that causes permanent damage to the air compressor. The Viair Dual 450C Onboard Air System is moisture and dust resistant with an ingress protection rating of IP67. 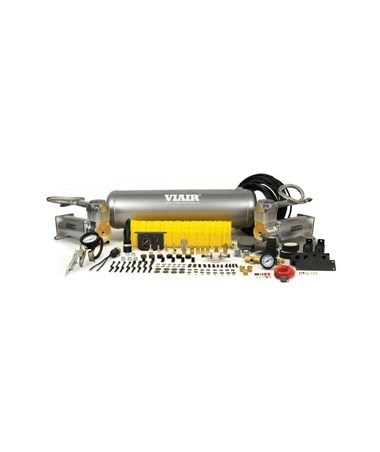 Designed with a maintenance-free motor and permanently lubricated to ensure trouble-free compressor service life. It also includes all parts needed for installation in vehicles. This air system is covered by a 1-year warranty against defects in materials and craftsmanship.